How the preceptor made learning inclusive. Religious doctrines are regarded as sacrosanct and this does not come as a surprise to anyone, either to the believer or the heretic. If the sacred dimension of scriptures is not safeguarded , the establishment and the esoteric value of its dogmas cannot be sustained and protected. This is one aspect which marks religious orthodoxy. At the same time, every religion is equally anxious to keep within its fold its followers and wishes to give them a reassuring feeling that their devotion matters a lot to the establishment and of course, the Lord. Hence the tension between the uncompromising dogmatist and the large-hearted reformist. This is a phenomenon prominent and even recurrent in Acharya Ramanuja’s life and mission. Nothing illustrates this better than the most cited episode in his life, his trying to learn the rahasyarthas of Sri Vaishnava darsanam from the senior disciple of Alavandar, namely, Ghoshti Purna or Thirukkottiyur Nambi. It raises the question of who has the ‘adhikaaram’ or eligibility to learn scripture. It also alerts us to the possibility of diluting the rigour of learning in an egalitarian model of education. 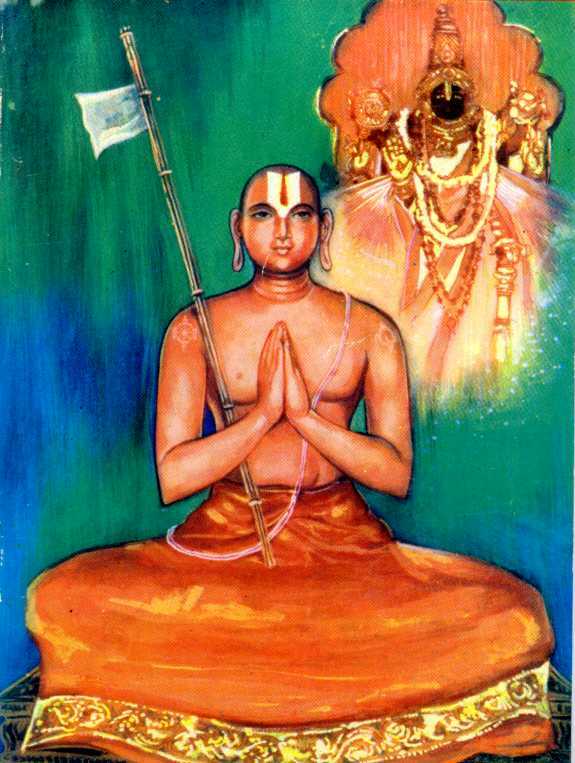 Ramanuja as a young pontiff of Srirangam mutt, is directed by one of his five acharyas, Maha Purna, known in Tamil as Periya Nambi, to approach Thirukkottiyur Nambi and learn some more of the import of the Dvaya mantra. The most engaging part of this encounter between the Guru and the disciple is that, at the end the former is moved by the largeness of heart of the latter and exclaims, “Sadly, I lack that quality of thinking of the welfare of the others!”(“indha para samruthi namakku kooditrillaye!”p.195 ). 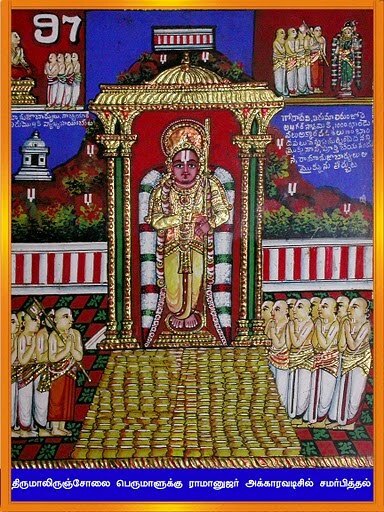 In Kaarei Karunai Ramanuja, (2004) a Tamil rendering of Pillai Lokam Jeer’s Ramanujarya Divya Charitai , a hagiographic text of 16th Century, there is a glowing reference to Ramanuja who chose to impart to the lay, the import of the mantras he learnt from his Acharyan. Here this Ramanuja, intending to dispel the sorrow of existence in everyone, bestowed his grace on all who were present by initiating them into the mantra, thereby making them eligible. 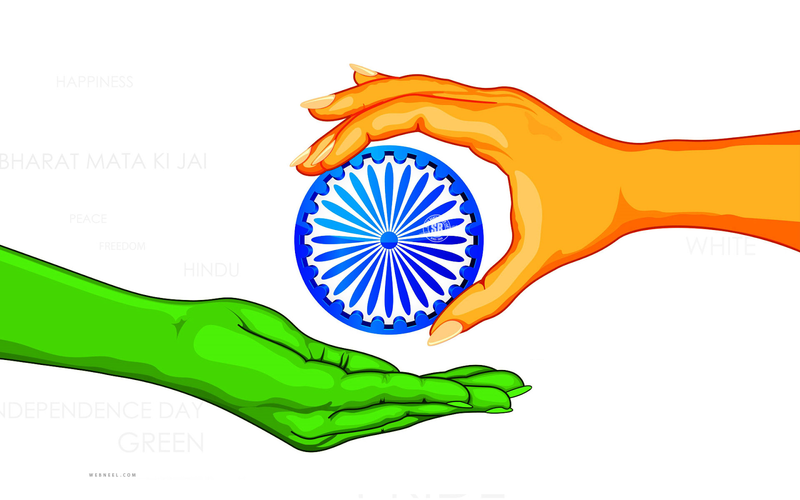 ( Ingu indha Raamaanujar ellarudaiyavum shokam pogumaaru paarile padhastharaai veetrirundhu ellorum adhikaarigalaaguumpadi upadesittu ). He blessed them out of his infinite compassion. (Kaarei karunai Raamanuja, ed. R. Rangarajan,p.146). That is to say, the devotees of the Lord, after this act of compassion, did not have to take any personal effort to set the load off their heads because he had rendered them the recipients of the Lord’s grace. 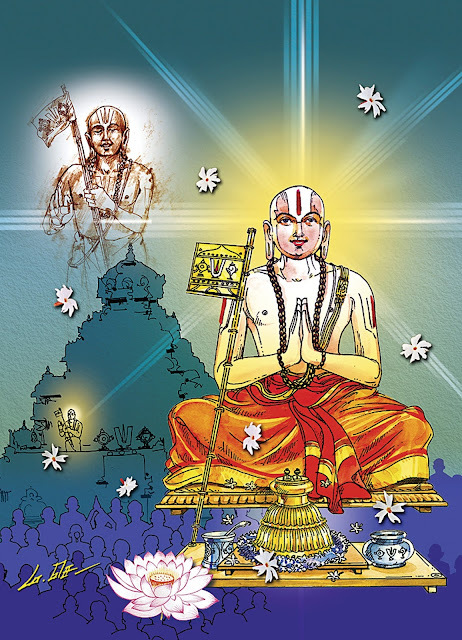 Sri Vaishnavasri A. Krishnamacharyar in his Foreword to this 16th century life of Ramanuja makes an important observation that its author has given many a detail not mentioned in such texts as Guruparamparai Prabhavam and Koil Ozhugu (p.4).The above passage which reiterates Ramanuja’s redefining of the notion of ‘adhikaaram’ may be one of them. 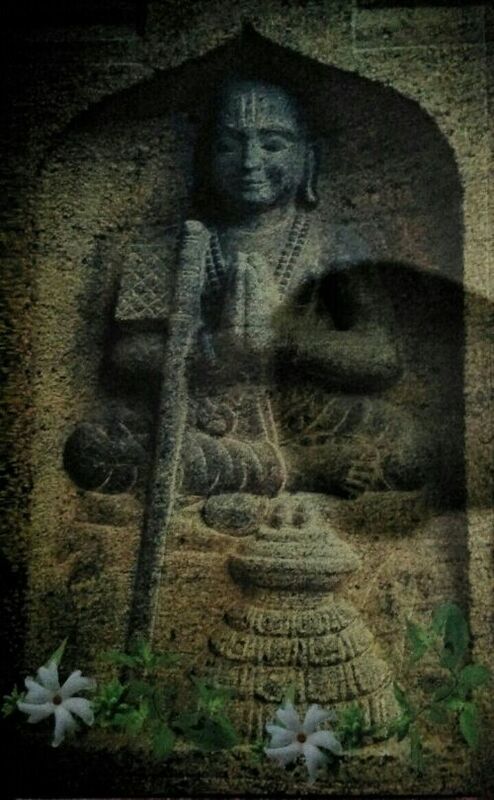 Sri Velukkudi Krishnan, a leading exponent of Vaishnavism in one of his TV discourses expatiated upon the Thirukkottiyur episode and glossed on the idea of ‘adhikaaram’: Ramanuja expanded the idea of ‘adhikaaram’ in such a way that his approach was meant to make even those who did not have the eligibility to acquire it and thereby make them endowed with ‘adhikaaram”. The purpose of this article is to highlight how Ramanuja gave a new resonance to the term ‘adhikaaram’ or eligibility or qualification in matters of learning. Paradoxically even while he lowered the bar, he raised it also by several notches. He is hailed rightly by all for being a compassionate acharya.